You might have already noticed that this is not the closet tour I promised last week. I really dislike breaking promises like this, but to be completely honest I just need more time to work on the space. So, I am not going to make any promises about when the closet post will be up, although it will be up sometime soon. In the meantime, I have something else exciting (at least IMO!) to show you today. 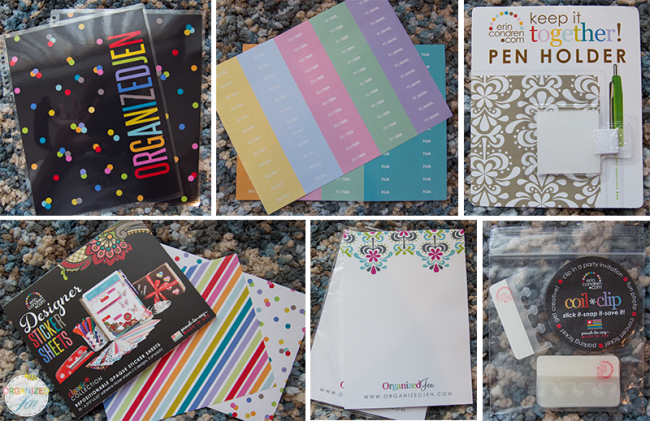 My Erin Condren 2014-15 Life Planner just arrived and I am sharing an unboxing and first look at it and the accessories I purchased to go with it with you! Shall we have a look inside the box? As soon as I saw they were launching a Platinum Foil collection this year along with the gold, I knew that was the perfect cover for me. I purchased the Turquoise Platinum Edition 18-month Life Planner (LP), which includes a calendar for the remaining months of 2014 as well as all of 2015. The beautiful hand pressed foil editions come with a matching elastic band as well as a gorgeous vellum overlay right inside the front cover with a foil party pops design. It felt a bit less difficult to settle on a cover this year thanks to the new interchangeable covers (more on this later). The first few pages of the LP include a motivational “work hard, play hard” design dash board as well as a yearly 2014-15 calendar spread on two pages for easy reference. This part of the planner hasn’t changed much since last year with the exception of the new clear ruler (yay! ), which makes it easier to see your calendar spread. The calendar is organized in chronological order with the week-on-two-pages set between the month-on-two-pages for each month. They added new quotes and new designs to embellish the calendars without interfering with the ample amount of writing space provided. The weekly spreads are broken down into morning/day/night time slots with space on the bottom to write extra tidbits. The notes section follows the calendars with both lined and unlined pages. There are new deigns on the unlined pages this year and they are gorgeous! There are a few extra goodies located in the back of the planner, including four colorful label sheets with two preprinted pages and two left blank. The labels are all now repositionable, which is what I prefer for my planners. The Keep It Together folder has been redesigned to hold items better. This is a super handy place to keep any extra labels, notebooks, and other loose paper you might want to keep in your planner. It’s also the perfect place to stash the new perpetual calendar that comes with the LP. There is also a clear vinyl zip ouch that comes with twelve labels, half of which are custom designed to match your planner, a couple of cards, and two coil paper clips. The Forget Me Not Perpetual Calendar & Contacts notebook is now separate from the planner so that can write all of your important dates and contacts just once then use the same little book every year. How handy! It includes a special holidays & dates to remmeber section, month-on-a-page layouts for all of your personal special dates, and an important numbers & contacts page in the back. I really like that they separated this part from the planner itself so that it can be used every year without having to write everything out again. ✻ Party Pops Interchangeable Cover – I couldn’t resist picking up one of the new interchangeable covers! This is such a fun option, especially if you’re like me and it’s hard to choose just one of the gorgeous cover designs. There is an included card that explains how to replace the cover. It’s actually super easy in practice! I find that by pushing up against the coil, the covers snap in easily. You can also watch target=”_blank”>this helpful video for guidance. I’ve always loved the Party Pops design and now I can have it and the gorgeous turquoise platinum cover to suit my fancy! ✻ Customizable Event Stickers – Now that the labels are repositionable, I wanted to order some customized stickers to use with my new LP. These help me stay on top of my posting schedule. I love how you can pick from so many beautiful colors! ✻ Pen Holder – What a handy little thing to stick in your planner to keep your favorite pen or pencil at the ready! I’m going to attach mine to the back of my Keep It Together folder now that the covers are interchangeable so I don’t have to buy a new one for each cover. ✻ Designer Sticker Sheets – I love the gorgeous colors and patterns of these repositionable sticker sheets. They include 12 designs (2 sheets each) with helpful grids on the back for easy cutting. 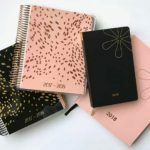 ✻ Notebook Notepads – I also ordered the coordinating Fleur Feliz notepads that tuck nicely into the Keep It Together folder. The paper is so beautiful! ✻ Coil Clips – These neat little guys are new to the LP range this year and help you to customize your planner by adding your own items right inside! The coil clips have an adhesive backing that you can stick to whatever you like and then easily snap in and out of the coil. Easy peasy! You also receieve a few fun design stickers with your LP order as well as a beautiful color catalogue of Erin Condren products plus a $15 gift card to use on your next order. Opening this box is like Christmas and my birthday all rolled into one! I am hosting a massive giveaway of twenty-five $100 ErinCondren.com Gift Cards in celebration of the awesomeness that is the Erin Condren Life Planner. That’s right, there will be TWENTY-FIVE winners! 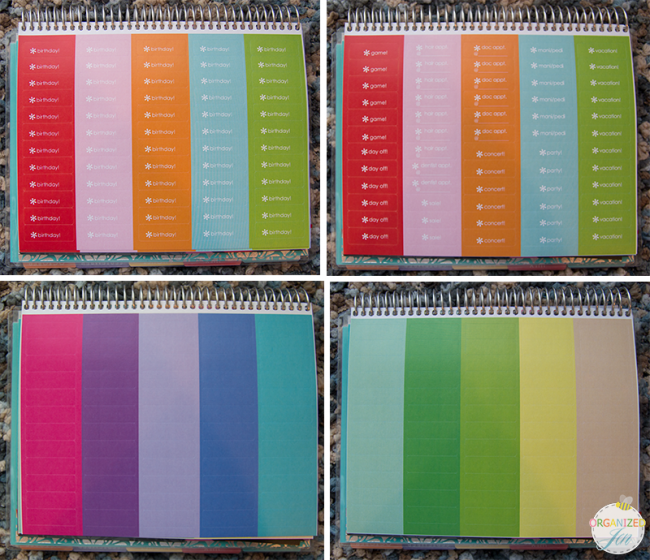 The Erin Condren 2014-15 Life Planner Giveaway will run until Sunday, July 6, 2014 at 6 PM CT. The giveaway is open internationally (you can find information about Erin Condren international shipping costs here). . All entrants under the age of 18 must have parental permission to enter. Twenty-five people will win a $100 electronic gift card good for use on any purchase from ErinCondren.com. You can enter by following the directions in the Rafflecopter widget posted below (check out this blog post for more information on entering Rafflecopter giveaways). I will contact the winners directly though email, as always. Good luck! 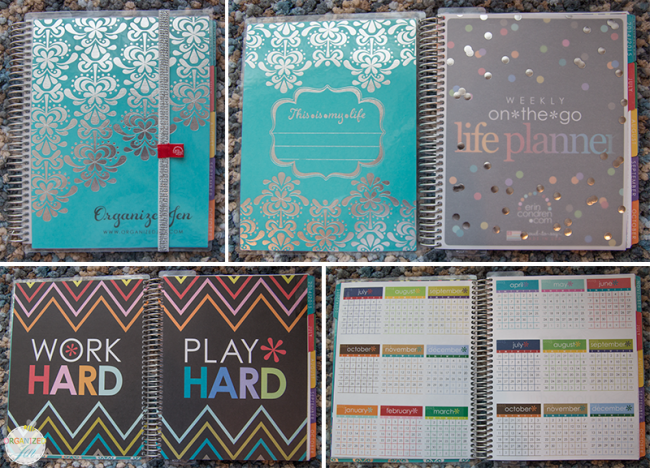 Congrats to the winners of the Erin Condren 2014-15 Life Planner Giveaway! I will be switching out of my 2013-14 LP into this new one in July and plan on using it in the same way (as a post scheduler). If I change up how I use it and my Filofax, I will post an update! I’d love to know if any of you have ordered the new LP or plan on ordering one and how you use yours, if you care to share! Love the Erin Condren life planner. Should actually be 18 months right? July 14-December 15? Loved the video and blog post though! I didn’t think I wanted a platinum edition (I have the gold now and wanted something totally different), but after seeing the video, it’s just gorgeous! I might have to get an address book with that cover (or just an extra cover)! thanks for the detailed video & blog post! always love your posts!!!! love the UP CLOSE pics and camera shots too! I’ve always used electronic planners, but this year, I’m the secretary for our class in my pharmacy school. I’m also planning a cruise that I’m opening to 300+ students. I feel like I’m going to need something much easier to reach for and to act as a backup for my electronic calendars. I’m wondering if the EC Lifeplanner would fit the bill. It is a substantial planner so it does have some weight to it, but it’s not as heavy as my A5 filofax. I have done my order on paper but didn’t make it definite yet. I really don’t need another panner…my FF-like planner is a vintage Louis Vuitton and I’m attached to it, but it is a personal size and I prefer more writing space and the EC product is excellent, so……I have a conundrum. 🙂 What to do…what to do…what to do????? I would love to see a 2 year edition planner! Thank you for the \video. I wish Erin would come out with a planner for Direct Sellers. One where I could keep track of hostess and party information. Thank you for the video. I wish she would come out with a planner for Direct Sellers. One where I could keep track of hostess and party information. I love my LP and I’m so glad I learned of it on your videos. Mine is customized with my logo and I love pulling it out in front of people! I’m especially excited for the new coil clips and repositionable stickers, but I’m really on the fence about repurchasing. I find the 2-page week to be pretty restrictive to me (broken up morning/afternoon/night) and I wish they had other options, especially options like the Planner Pad has (which I may try this upcoming year… unless I win this giveway lol). Besides that big problem, one nice thing I’d like to see would be bigger coil paper clips – mine falls off so I use binder clips for my pages and haven’t found anything to use the coil ones for. Hi Jen, this isn’t planner related but I’ve been wanting to ask you about ‘Nature Box’ monthly snack food subscription service – so I hope it’s ok that I ask you here. I think you were subscribed to NB at one time right? I’d love to hear what you think about their service/snacks? I’ve been trying to eat healthier and lose weight and need to find healthy snacks (I find that I crave more salty & crunchy snacks) so I thought I’d ask you about NB and see what your thoughts are. Thank you & Have a great weekend! I’ve never subscribed to that one although I did get one of the snacks in a PopSugar box. It looks like a fun subscription for snack lovers! I believe you can uncoil the pages and remove or reposition them to your liking. Worth a try if you dont need the weekly pages. loved your video! i used an EC planner for 2 years but had to switch back to Lilly Pulitzer ones because I went back to pharmacy school! So needless to say I would love it if EC came out with a planner with students in mind! Would love the planner. Hope my lucky drawl will be in this one. I am so excited with you when you open you stash. I do not have a planner but been wanting one. Know it would make my life easier. Thanks for the chance to win. You are awesome. Love your videos. I cannot wait to buy my new planner:) Unfortunately I purchased a 12 month version at the beginning of the year and I will have to wait to get my new one. I can’t fathom wasting 6 months of the planner since I spent so much money on it. Kind of wish I would have waited to buy my planner so I could get the new release. I am confused a bit though…will you be ordering a new planner next June when the new ones are released? This would mean you waste the last 6 months of next year, right? Such a big investment and I want to get the most use out of it. I’d like to see a traditional week on 2 pages option in the ECLP…my day consists of just more than morning, noon and night. More free space would be nice. Your video totally sold me! Loved it! Crazy life, work, kids, hubby and planning our daughters wedding, I wouldn’t change a thing but planning things out and being able to organize it in such a wonderful way might save me a few grey hairs. LOL. So fun to watch your video! Can’t wait to get my hands on the new planner with all the awesome upgrades! Thanks for the giveaway!!! 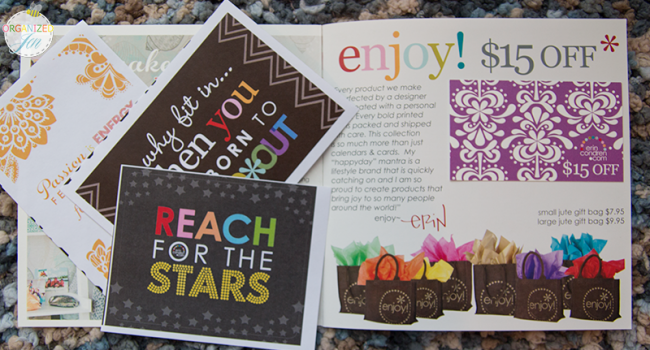 Thanks Jen, I’ve been interested in getting the Erin Condren planner for a few years now, looks gorgeous, maybe one day. As always thanks for creating such a detailed video on the new life planner and accessories. I have been looking at them for a while. I would love to win so I could try the teacher planner. I absolutely LOVE my Erin Condren Life Planner!!! I finally ordered my 2014-2015 Life Planner yesterday!!! Next on my wish list is an acrylic tray!! Thank you for posting your unboxing and first impression video. I enjoy seeing what goodies and personalizations people choose!! I would like to see different types of covers. Instead of them being laminated I’d love having the option of leather or a thick recycled paper. I would ask Erin Condren to design an interchangeable photo page to add to the planner where you can add and remove pictures and play around with like a smash book. A fun page that can be removed and inserted anywhere in the planner just like the covers. Thank you for offering us another opportunity to win Jen. I hope they start selling cover-less planners next year (for cheaper, $30?) so we can use all these cool covers we bought this year without having to buy more. I am in hearts with this planner. Btw I don’t know what’s up lately, but you seem more confident, more comfortable in your skin. I like it. You are so funny and adorable.It’s totally working for you and for me. Something about you makes me feel momma bear protective of you, so this change is awesome. *hugs*for continued happiness. Thanks for sharing this. 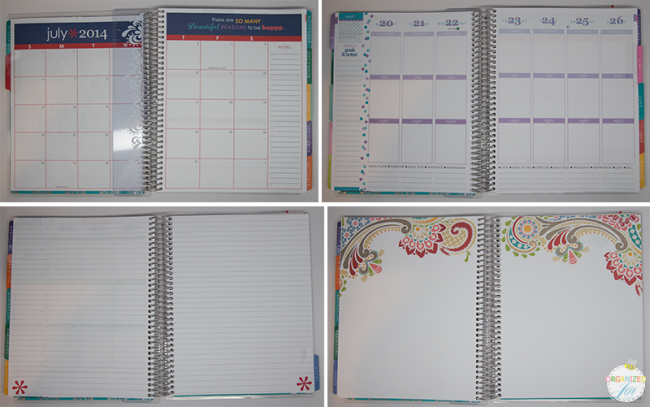 It is beautiful, every planner lover’s dream! I was wondering if you could tell us what the stickers are that you get free with the planner? I couldn’t find it on the EC website and can’t quite see them in the photos….think it may be my eyes! Lol! I am hoping to buy one if I get enough birthday money in September and will buy some customizable ones so I can use it to go with my job but didn’t want to duplicate any sticker! Thanks so much for the chance to win another gift card too, so generous of you! Fingers crossed as it would help with shipping to the UK! Can’t wait to see any update posts you may do of how you use this and your Filofax…I’m hoping to swap from a filo to an EC planner this year and see how it goes! Looking forward to your closet organisation video too…I really need to sort mine out but life runs away and time disappears!! There’s a whole sheet for birthdays as well as game, hair appt, doc appt, mani/pedi, & vacation. Hope this helps! I am very much looking forward to this giveaway! I am very newly engaged and would love the opportunity to use the planner for wedding details 🙂 I think it’s very admirable that you use the credits to give back to your viewers! I would love to see it be slightly more customizable, without a fee to do so. For instance, I will never use blank note pages. I wish I could opt to get all lined pages or even add more note pages to the back. 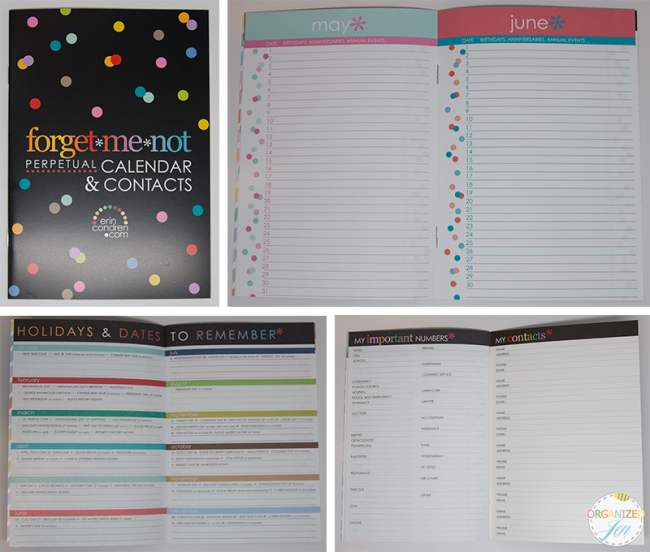 I feel like I’m cheating on my mint Kikki-K planner by saying this…but I love the Erin Condren planner so much! It seems to tick almost all of my boxes – gorgeous to look at on every page, super colourful, well designed, light and airy (I love that the daily boxes are UNLINED! )…the only issue is the shipping costs. I love my Erin Condren planner, the only thing that I would change is the monthly view to be monday-sunday as I sometimes get confused when transferring things from it to the weekly view and vice versa. I completely agree! I get confused with the weeks starting on Monday, but the monthly view starting on Sunday. Not to mention, I often have events that last a whole weekend, so it would be nice to be able to block that space off together. How long did it take for yours to come ? It cane take a few weeks depending on what shipping speed you opted for. Thanks for posting and for your generosity! I have been wanting one of her planners for a fitness journal to keep me motivated but they really are a little expensive. What a fun un boxing! Love your necklace in the video too. Thanks so much Jen! I also asked this on your video, but what pens do you prefer to use while writing in your planner? I’ve been a fan of LePen pens for years. I would like to see wider lines for those of us who write BIG. Would you be able to let us know if the stickers are indeed re-positionable? I would like to get them if I can move them around. It’s just beautiful! I ordered mine and it will arrive on Tuesday – the actual first day of July! I’m planning on using mine as a monthly/weekly planner for events and important reminders, but I also want to journal various things: for example fitness/health, gratitude and happy quotes. I think what I might do is use the perpetual calendar eventually for a “Happy Thought a Day” tracker instead of tracking birthdays. I can put birthdays in the actual planner portion. I got do excited when watching your video! I even screamed for joy when you lifted the new E.C platinum edition out of the box. It is just so beautiful and lovely designed. Thank you, for thinking of us for another giveaway. I am looking forward to using and applying E.C products to my everyday life. With your explanation of the video is extremely helpful. Makes me think of all the creative ways I want to use this E.C planner. I wish there was an option to not have the day broken up. However, I did love using my EC teacher planner this past year! I would like an extra folder as well as having my paper in the back match my cover. Great giveaway! Don’t worry about your closet video, it will come when you are ready. You are so open and show us so much anyway, and I am glad you are!! Thank you for showing us the unwrapping of the calendar, really love it!! Also, Jen, I have a question for you if you see this! I love all your organization videos and have been trying to use them to get organized around me, but every time I try to start, I find myself facing an entirely new problem: I have way too much stuff. 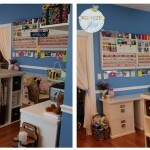 How do you suggest getting rid of clutter? I hate throwing things out, finding reasons to keep things forever: emotional attachments, what if I need this later on, etc. What do you suggest? Maybe try putting things you’re uncertain about in a bag or bin and tucking it out of the way. If after a few months you haven’t thought about any of those items, then it’s a good sign you’re ready to part with them. Great unboxing video and look at the new calendar! Thanks so much for the great details in the video and blog post – appreciate it! Finger crossed for the giveaway!! Wow, your planner looks fabulous! I have the same one but white (old style). Definitely going to order the platinum, love it. Thank you for sharing, as always! Thanks so much for the post and the video! I’ve been so excited since I saw that the new ones were being released. I really love the interchangeable covers. Great planner! I’m going to have to look into getting one of these! OMG I absolutely love the note pads and stickers! I have labels and stickers all over everything! Thanks for the video and giveaway! Thank you so much for this post! I’m about to order my first planner for senior year and this video along with the blog post really helped with knowing what to expect from the planner and gave great tips on how to use my planner! Also might I just say the EC customer service is spot on as well, just a great overall company! That’s so nice that Christie shared the photo of what she got with the gift card that she won. I hope future winners will do the same thing, too. I would love it if they had a graph paper option instead of the lined/unlined paper. I love this planner. Nothing like this on the market. I really need to get everything organized. I keep forgetting everything and regular planners are just … incomplete. Thank you Jen. Thank you so much for the giveaway! I would LOVE if these planners had LINES for the sections for each day. I am a lefty and write very slanted without lines lol. Love! Love! Love! Thanks for sharing your new planner! I definitely use all of the custom ones. LOVE the posts on the planners this year Jen! They’ve been super helpful! I love these planners and think they’re gorgeous, but I don’t necessarily need the weekly portion. I would love to see just a monthly planner. I have one and it just makes me a little sad that I don’t utilize the whole thing. I do like looking at it though. OMG OMG a paper planner!!!!! I do everything on iPhone and iPad and computer …. And LOVE the idea of going to paper!! It would feel….comforting!! Thanks so much for the great preview. I love this whole idea!!! I love the Turquoise Platinum cover you selected, and if I am one of the lucky winners, that is exactly the cover I would choose. It’s so pretty. Thanks Jen! I got my first planner on Friday. So nice! I bought the teacher planner last year but really should have bought the LP instead since there were parts of the teacher planner I never used (I am a Montessori teacher and don’t do lesson plans by day or period so that huge section never got used). This year I’m committed to using the planner for both home and school to stay on top of my schedule, meetings, deadlines, meal planning, my kids’ activities,etc. thanks again for the unboxing video and for being such an inspiring presence on the web. I really enjoy your videos and blog. Have a great week! I really need the calender portion of the planner to be “day on a page”. There is just not enough room to schedule appointments. Mine arrives tomorrow….. Can. Not. Wait!! I would to see anything you can show us of Erin Condren. I have always been very organized. Even in high school I rocked my trapper keeper! I never knew there was a world of planners until I watched your videos. I plan my whole day the night before and have done so since 5th grade. I’m crazy. I would love to try out this planner as i have only used the ones at target. I’m very excited. Thanks so much for all your hard work! Hi Jen ! First thank you for this giveaway, I have just ordered my very first EC LP after seeing your “sneak peek” video. I’m french and it’s so sad the shipping costs are so high but I understand it. So I am waiting after my LP and I already know that I will love it ! And maybe it will help me to find a job ! I really love your videos and your blog ! I’d love to see a daily schedule option for the Eric Condren planners instead of the weekly schedule. I need more room! I ordered my Life Planner 14-15 but I am wanting to order the lesson planner for my sister! She just graduated with her teaching degree and got her first job! Just entered your $100 give-a-way! That would help! Jen, I love you videos. With being a my minister’s wife, I need all the help I can get in the organized schedules department. I am a part f so many things that it gets crazy sometimes. I am also about to go back to school and start my own YouTube channel. This would be such an asset! Thanks for your video and chance to win a LP. I have been eying these planners for awhile and just haven’t wanted to put out the dough for one, so for a chance to win one, is awesome! I think you should bring back the Mail Love videos. Any plans on doing those again? It felt a bit…awkward personally. I love sharing with you guys, but I just felt kind of weird about sharing gifts and things people send me. Maybe it’s not weird but I felt a little like it could be seen as asking for people to send me stuff when really I don’t want anyone to waste their hard earned money on me! Thank you for your vlogs, I love watching them! What a very generous giveaway! I just subscribed to your youtube, i know what I’ll be doing for the remainder of the night. Thanks for the inspiration! I really want an Erin Condren planner, but I don’t think in terms of morning/day/night & since I’m a student, I would be aware of my class schedules since those don’t change daily. I wish there was another option for students or at least an option for the columns to be completely blank or even a feature to customize the names of those headers to things like school, work, personal. I totally agree I’m entering my sophomore year of college and I don’t separate my day into morning, day, and night. I have always wanted a EC planner but opted for the Plum Paper Planner Student edition. It’s something you should definitely check out, they are cheaper as well. Loved this post! At this point, the only thing I would change is giving people a weekly calendar layout option…broken up morning, day, night or just one full space for the day. I loved a pervious commenter’s idea of an interchangeable page to be inserted where you want. Maybe even a half page? That would be fun! If you have a sec, I’m wondering about ordering a new cover for my current EC life planner… do you know if they would fit on my 2013-14 version or have the changed the cover size? I may have to bite the bullet and order a new one early… torn between mint gold and turquoise platinum!! I just popped one on my 2013 planner and it fits just fine! Oh yay, thanks SO much for checking! 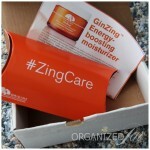 I’m placing an order for sure now… will share pics! I would love to see the space for the day change. Instead of morning, day, and night maybe leave it blank or just have lines instead of the boxes going horizontally. I love the colors but wish there was a project tracking style option. I wish EC had a student planner. A specific one that had places to write out exams, things to study, class schedule, class info, etc. Hi Jen! After seeing your preview of the LP, I bought one! I was very excited (like you were) to hear about the new repositionable stickers. I ordered a bunch of them with specific tasks/events. My question is, are they repositionable for you? Because mine move a little bit when I first stick them down, but by the next day they feel like they’re solidly affixed (not moving anywhere!). Just interested to hear if this is just me or if maybe they sent me old ones? Thanks! Thanks so much for this giveaway! I just ordered my EC Teacher Planner and can’t wait for it to get here. Jen! For starters I am really excited for your closet video, and I would really like to hear about your laundry system. BUT! Vertical drawer organization has changed my life. Changed. My. Life. I wish I could post a picture for you! My dresser drawers are so pretty now and I can actually SEE! I’ve just ordered my first ECLP and am waiting for it to arrive. The thing I dislike the most about it (and would change if I could) is the thing most people love — the color, the quotes, all the fussiness. Ugh. I bought one because other than aesthetics it is EXACTLY what I want in a bound planner: week on two pages, vertical layout without hourly divisions, months interleaved with weeks, plenty of room for notes, each weekend day with its full space, week starting on a Monday, and availability as an 18 month starting in July. I am clearly super picky and these things are hard to find! I just intensely dislike the aesthetics. I requested some very plain colors for my cover and will probably rip out and/or cover up most of the decorative elements. I dearly wish there was a stripped down black and white version. I bet she’d be able to capture more of the male market that way, too. Awesome! You are so wonderfully detailed in your blog and vlog posts. I have been desperate for a planner that works well for me, and this seems customizable enough that it just might work. I’d love to see even more customizability (is that even a word?) from Erin Condren products. You can’t go wrong! I’d like to see something like the ARC notebook (you’ll find at Staples) or the circa notebook. Specifically a way to punch holes(but make punch ,budget friendly(circa is over $70 last I looked) where you’d be able to insert important papers. I know EC has attachable clips. But this way attachment could run length of coil and less bulk from clip. Very interested in the planner. Will really have to think about it. I wish that the planners didn’t have the 3 different time areas and it was just an open area to write what you needed to. I would so love to see a mega version that combines the teacher planner and the lifeplanner! 🙂 Thanks for the great giveaway — fingers crossed! I absolutely love your videos. The Erin Condren giveaway, I don’t know my entry number but I was wondering if I was the Tara E. who won. Thank you. That Tara has a different email address from you. I contact the winners directly through email. I am a stay at home mommy of a special needs boy and I’ve been looking for a planner that I can have enough room to write in all his appointments. From your youtube video this planner looks like it’s perfect. I am wondering if it’s worth the money? After 3 months of using this planner would you still recommend it for the price?